3.9 out of 5 based on 14 bloggers and 1 commenters. 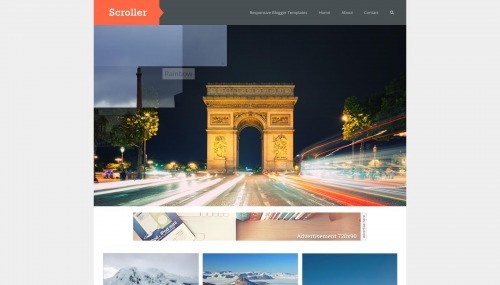 Scroller is a free blogger template with 2 columns, responsive design, right sidebar, an exclusive design for Blogger, ads ready, footer columns, slider, posts thumbnails, pagination, well designed threaded comments and pinterest style. Excellent template for blogs about news, photography, a personal portfolio site, sports or travel.